Public-private partnerships are increasingly advocated to alleviate deficiencies in the public health system as well as to reduce economic stress on those who seek services from an expensive, burgeoning and unregulated private health sector. Focusing on India, this book examines how the private sector in developing countries is tapped to deliver health care services to poor and under-served sections of society through collaborative arrangements with the government. Having emerged as a key reform initiative, aspects of public-private partnership are examined such as the genesis of private sector partnerships, the ways in which the private sector is encouraged to deliver public health services, and the models and formats that make such partnerships possible. 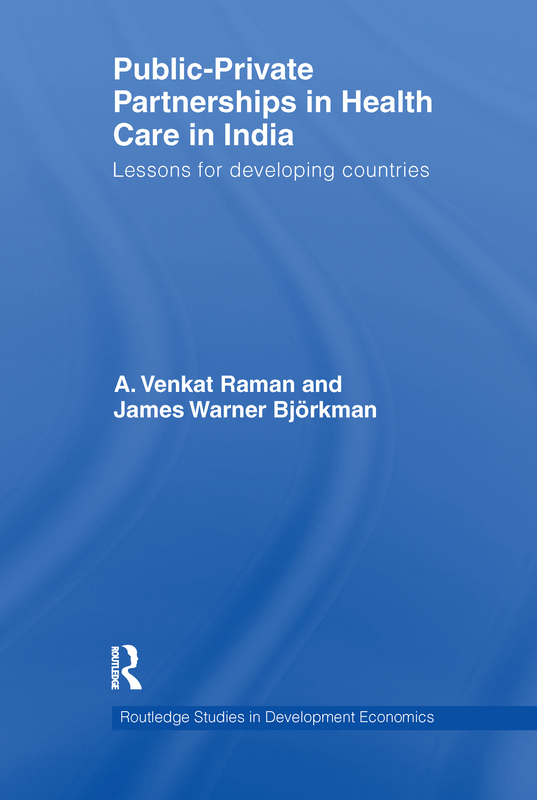 Based on in-depth case studies from different states of India and drawing on experiences in other countries, the authors analyse challenges, opportunities and benefits of implementing public-private partnerships and explore whether partnership with the private sector can be designed to deliver health care services to the poor as well as the consequences for beneficiaries. This book will be of interest to scholars of public policy and development administration, health policy and development economics as well as South Asian Studies.